An excerpt from Don’t Just Sit There, Do Something! Grief’s Wake Up Call. 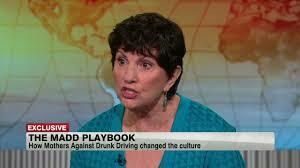 Candace Lightner is now the president of We Save Lives. More profiles and interviews at Don’t Just Sit There, Do Something! Grief’s Wake Up Call. I wish death happened like it used to in the old movies. You know, those deathbed scenes were everyone gathers around, makes amends, say their good-byes, and drift off with visions of God and the angels dancing in their eyes. But it rarely does. Deathbed conversions are few and far between. When death approaches, or has taken place, most people live their faith, their beliefs (or their disbelief) in a God, or the hereafter, the same as they have the rest of their lives. If they believe in some creative force that is more than what we can see, they continue to do so through sickness and loss. If they believe God has a plan for everything that happens, and that Jesus is their savior, they continue to do so until their dying breath. If someone feels that there is no God, supreme being or spiritual meaning for anything on earth, they hold on to that belief after their loved one’s body is buried deep in the ground. A friend once told me, as their mother was dying, that no matter how hard she tried she couldn’t make herself believe the same as her mother had all her life. She desperately wished she could. She wanted to understand and connect with her mother before she passed on in a way she had never been able to. She said that for awhile she pretended to believe as her mother had, but she knew she was pretending. She even went to her mother’s church and read the same readings and scriptures, without any change of heart. A client I met with for several months repeatedly expressed her frustration that her husband had never believed in God. She couldn’t understand how he had gone to his death without accepting God into his life. For over forty years she had tried to convert him and get him to go to church, always believing that someday he would see the spiritual light. A member of my family had an understandably difficult time when my uncle killed himself, and sincerely worried about his soul, wondering if he was suffering as much after death as he had during life. They prayed that God would forgive my uncle and provide the serenity that had always seemed to be just beyond his reach. The only way they could make sense out of the tragedy was to believe that he was “in a better place”. They had always believed that God provides happiness and peace, and used that faith to provide personal comfort, safety and meaning. Belief in God, a Great Spirit, Nature, Jesus, or some other religion or spiritual path, doesn’t mean that people don’t question, argue, bargain or get angry with that in which they believe. Another client blamed God for allowing her abusive ex-husband to survive and live with his alcoholism, while her hard-working, kind friend died from liver cancer. She overflowed with unanswerable questions. “Why didn’t that son-of-a-you-know-what get this awful disease instead? Why does my friend have to deal with this? What did she ever do? Why? Why? Why?” Her friend continued to work as long as possible, and remained true to her sweet loving self until her death a year and a half later. As in most sweeping statements of finality there are exceptions. Occasionally someone reacts to death and loss differently than they have lived the rest of their lives. A woman I interviewed a few years ago said she made a bargain with God and it changed her life. As the car she was driving hit a side rail on the freeway, and begin rolling over and over she said, “God, if you let me live to raise my young son I’ll dedicate my life to you.” She had never believed in God and didn’t know where that had come from, but she said she heard a voice answer her that said, “Yes”. She survived the accident, continued raising her son as a single parent, and never forgot her promise. Though she had always seen herself as a selfish person, she started thinking of others and became involved in a number of charities. When her son was killed ten years later she never wavered from her promise and used her son’s death to inspire her to do even more of “God’s work”. Death and grief can crack open our hearts. They can change our perceptions of how we see the world. They can wake us up to the reality of pain and suffering in ways that we never thought possible. Within the midst of such grief and pain we can reach out for comfort, look within for guidance, and find compassion and forgiveness from our religion, community or sense of personal responsibility. Mourning can be a catalyst for clarifying our values and deepening our understanding, but it doesn’t mean we will throw our beliefs out the window or change our spiritual faith. We need not despair over our usual conditioned human response to loss. There’s always an old movie with a good deathbed scene we can find at the video store, take home and imagine ourselves saying our good-byes, making last minute amends and being carried off to the heavens! An excruciating excerpt from Zen Master Tova Tarantino Toshiba: The Illustrious and Delusional Abbess of Satire. Sister Bonsai and Abbott Tova were on their hands and knees digging up the soil in the garden to plant some hemp seeds. When Sister Bonsai lifted a rock to make way for the next row, a cobra raised its head and spit in her direction. She fell backwards just in time to miss being hit in the face. Abbott Tova grabbed her arms and quickly pulled her farther away from the deadly snake. “Thank you,” Sister Bonsai exclaimed. “What are you thinking?” Abbott Tova inquired. “Nor should it,” said The Master, as she scooped some seeds into the bag they were both holding. “Indeed.” Abbott Tova grabbed another spade, as she and her student walked back to the field. “Then what’s the solution?” Sister Bonsai asked. More abundant wisdom at: Zen Master Tova Tarantino Toshiba: The Illustrious and Delusional Abbess of Satire. We need your help with one of our most challenging animal rescues ever. We have to relocate three elephant families immediately. The 12 elephants are stranded in small patches of forest in Côte d’Ivoire, Africa. These elephants are in immense danger of being killed due to clashes over crops with surrounding townspeople. Some have already been seen with bullet holes in their ears. They are also threatened by poachers, who are relentlessly hunting them for their ivory tusks. Babies and parents live every day at risk of being killed. With your help, our elephant transport experts will move them family by family 250 miles south to Azagny National Park. There they will have 55,000 acres of forest and rivers to live in safety and freedom. You have been generous in helping animals, and I thank you for that support. Now I am asking you to show how much you care about animals by helping with this urgent matter. You can help give 12 elephants a safe new home. These elephants are running out of time, and they need you now. We have successfully relocated elephants in Africa and India. But as the video shows, this move is more difficult, as these are forest elephants. They are shy and reclusive and live in deep thickets where there are only dirt tracks leading in and out. With your gift, you will help cover the expert veterinary care needed to ensure the health and safety of the elephants while they are captured and moved to their new home. You also will help prepare the special vehicles needed to move the elephants (some of them weigh over two tons). You can help with this historic elephant move. Thank you for all you do to protect elephants and other animals. One year ago today, my sister Zina was murdered by her abusive estranged husband. The restraining order she had against him should have prevented him from getting a gun, but he was able to buy one online without a background check. I’m going back to Washington, DC to share my sister’s story with leaders in Congress. I’ll tell them that they can close the loopholes in our laws that allow dangerous people, like my sister’s killer, to get guns — and that simple, common-sense solutions would prevent others from experiencing this kind of tragedy. Together, we can make sure that more women’s stories don’t end the way that Zina’s did. And one of the most important things you can do to make sure that Congress acts is to share the stories of survivors and women like my sister. October is Domestic Violence Awareness Month. Help me do this for Zina and for all the women whose lives are at risk when dangerous people get their hands on guns. On 15 June fourteen girls were murdered in Pakistan simply because they wanted an education. Many people know my story but there are stories every day of children fighting for an education. The basic right to education is under attack around the world. We need change now and I need your help to achieve it. You can help me and girls and boys across the world. We are asking the United Nations General Assembly to fund new teachers, schools, books and recommit to getting every girl and boy in school by December 2015. This July 12th is my 16th birthday and I am personally delivering this petition to the United Nations Secretary General Bank Ki Moon. I became a victim of terrorism after I spoke out in favour of education of girls. These innocent girls killed in Pakistan have nothing to do with politics and only wanted to empower themselves through education. If we want to bring change, if we want progress, if we want development, if we want the education of girls, we should be united. We should not wait. We should do it now. Less than four months ago, the community of Newtown, Conn. suffered an unspeakable tragedy. Their world was shattered – just like the hundreds of other communities who have witnessed the scourge of gun violence. Stand with the clergy of Newtown in speaking out against rising gun violence across the country. Nothing any of us do will ever bring back those killed at Sandy Hook Elementary School. As a nation, all we can do is make sure we prevent the next tragedy. The religious leaders of Newtown have spoken out to demand that Congress take action immediately, and pass legislation that will stop the slaughter. It is time that we stood with them. Newtown does not want be remembered as a town of tragedy, but as a bridge to a new and kinder world. Sign the petition today, and send a message to Congress that you stand with the clergy of Newtown.